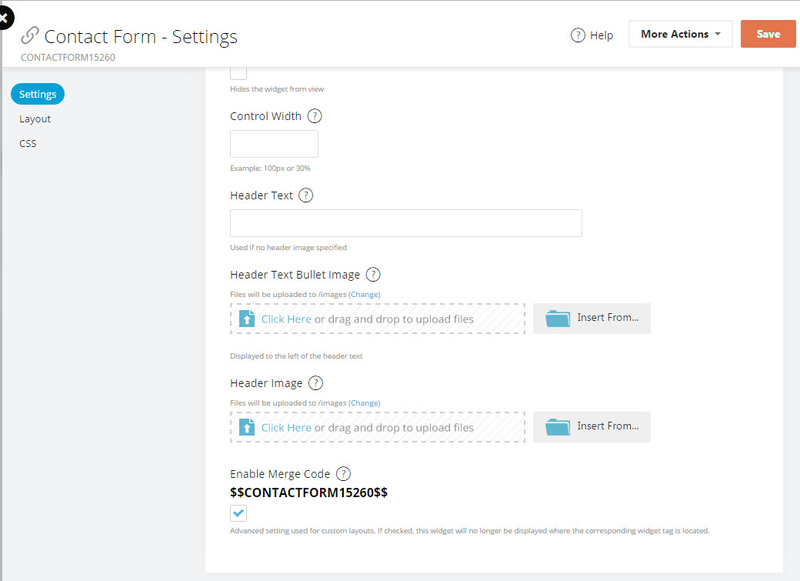 This article will take you step by step through the process of adding a contact form widget to a single content page; however, this same process can be used to add almost any type of widget to a single content page. To add a widget to a single content page, add a new widget in Themes > Edit Theme > Content Page (Base), enable the merge code on the widget, then copy and paste the widget's merge code into the content page in Content > Pages > Edit Content Page. 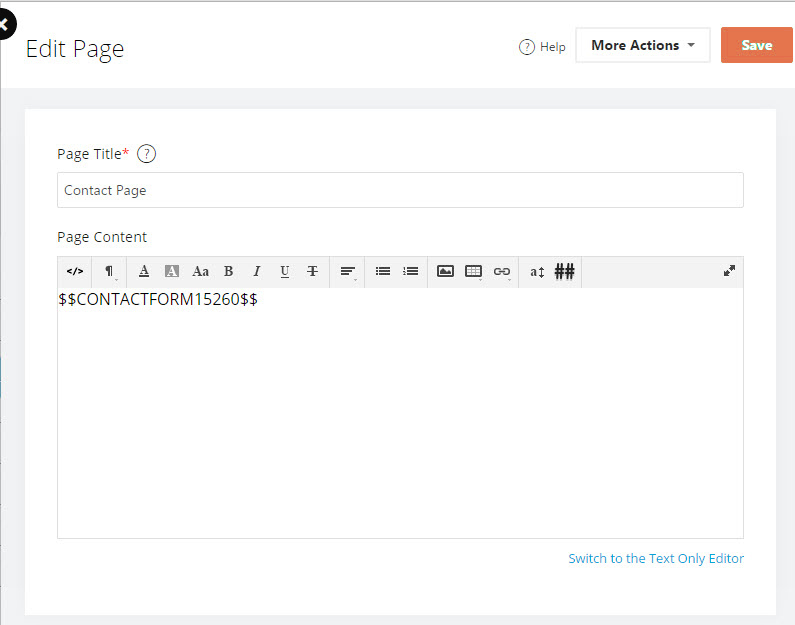 You will first want to create the contact form. Its a fairly straightforward process. Anything added to Content Page (Base) will display on every content page. This is because it is the base for all content pages. This makes it really easy to make changes to all content pages at once. This is why we must enable merge code when we want to display a widget on a single content page. Enabling merge code will cause the widget to only be displayed where the merge code is pasted.